The AMS Healthcare Education unit can provide many nationally recognized healthcare certification programs including a wide range of courses from First Aid to Advanced Cardiac Life Support. We are currently working with the Canadian Medical Association to receive accreditation for our Critical Care Flight Paramedic and Nurse Program. We have recently developed a technical medical simulation lab where students are trained and conduct advanced medical procedures on high-fidelity, critical care manikins. This simulation lab is mobile and can travel across Northern Canada to increase access to healthcare education and skill development. This lab is the first of its kind that is accessible to healthcare professionals in the North. Healthcare professions can obtain and maintain certifications and ongoing continuing medical education through AMS’s online training academy that is accessible from remote communities. We would love to bring these classes to your community or team. AMS can also design custom course offerings for your specialized learning needs. Completer Courses require completion of an online module. CPR and breathing emergencies in adults; advanced first aid; use of oxygen equipment; AED; primary and secondary assessment skills; first aid for bleeding; sudden illness and minor injury; return to work protocols and record keeping for the occupational healthcare provider. Business, industry and government agencies with employees that have an occupational requirement to be Level 2 Advanced First Aid trained. Meets British Columbia Occupational Health and Safety (OH&S) regulations administered through WorkSafe BC. ITLS Provider is appropriate for all levels of EMS personnel—from EMT-Bs and first responders to advanced EMTs, paramedics, trauma nurses, and physicians. This course can also be tailored for athletic trainers. ACLS is an advanced, instructor-led classroom course that highlights the importance of team management of a cardiac arrest, team dynamics and communication, systems of care and immediate post-cardiac-arrest care. Specific skills in airway management and related pharmacology are also featured. Skills are taught through discussion and group learning, while testing stations offer case-based scenarios using simulators. NRP is an educational program jointly sponsored with the American Heart Association (AHA). The course has been designed to teach an evidence-based approach to resuscitation of the newborn to hospital staff who care for newborns at the time of delivery, including physicians, nurses and respiratory therapists. Accurate assessment of a child with an acute illness or injury requires special knowledge and skills. ENPC gives nurses the tools to provide expert care for patients from birth to adolescence. ENPC is appropriate for Nurses and Advanced Paramedics with specific need to care for children in the Emergency setting. TNCC, widely recognized as the premier course for hospitals and trauma centers worldwide, empowers nurses with the knowledge, critical thinking skills, and hands-on training to provide expert care for trauma patients. ENA developed The Trauma Nursing Core Course to establish a standardized body of trauma nursing knowledge and to improve the care of all trauma patients. This seventh edition course combines interactive learning with scenario-based assessments to give nurses a comprehensive learning experience. CTAS is appropriate for Nurses who perform triage of patients in either rural or urban facilities. Basic one-day course offering an overview of first aid and cardiopulmonary resuscitation (CPR) skills with a focus on childhood injuries and illnesses. Comprehensive two-day course offering first aid and cardiopulmonary resuscitation (CPR) skills for those who need training due to work requirements or who want more knowledge to respond to emergencies at home. Comprehensive two-day course offering first aid and cardiopulmonary resuscitation (CPR) skills with a focus on childhood injuries and illnesses. Basic level of Wilderness & Remote First Aid that covers material in Standard First Aid & CPR, plus special material on techniques for wilderness and remote areas. Basic two-day course offering an overview of first aid and cardiopulmonary resuscitation (CPR) skills for the marine/fishing industry. Comprehensive first aid and CPR techniques for those who need a higher level of training to work and respond to emergencies in isolated or wilderness settings. Duration: 40 hours (more than 50% of course taught in non-urban outdoor setting). Comprehensive first aid and CPR techniques and scenarios for those who need a higher level of training to work and respond to emergencies in a marine setting. 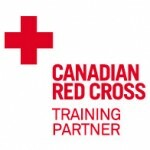 First aid and CPR skills for professional first responders or those wanting to become first responders. Course teaches techniques for sustaining life, preventing further injuries, and caring for illnesses and injuries until the next level of medical personnel arrives. Includes CPR level HCP and AED. Course is for those providing a professional level of emergency response including firefighters, law enforcement officers, and emergency medical services personnel. Includes CPR level HCP and AED. Meets the Paramedic Association of Canada National Occupational Competency Profiles for the practitioner level of emergency medical responder (EMR). Have questions about our Training & Clinical Education Services? Fill out the form below and an AMS representative will contact you within 24hrs.